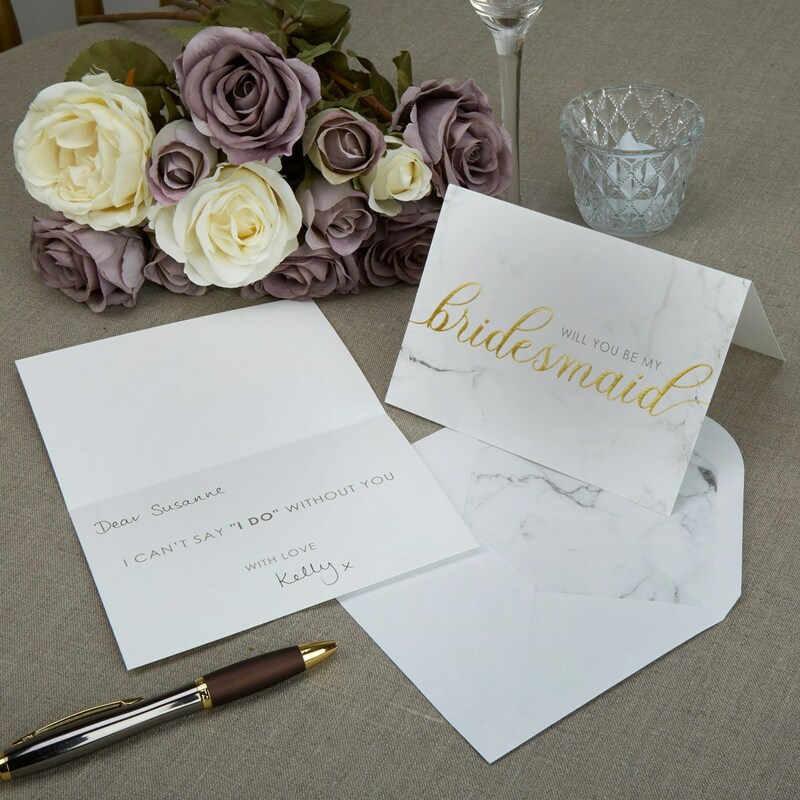 An on-trend mix of marble and gold adorns these cards which create a lovely way to formally ask your most special friends to be your bridesmaid. A simple design offers the perfect complement to a classic wedding scheme, with glossy gold script adding some subtle sparkle. Each pack contains 3 Cards, plus Envelopes.